Say hello to T-Mobile’s newest roadmap and while it devices launches are always a little thin at the beginning of the year, there are a few notable aspects to this image. 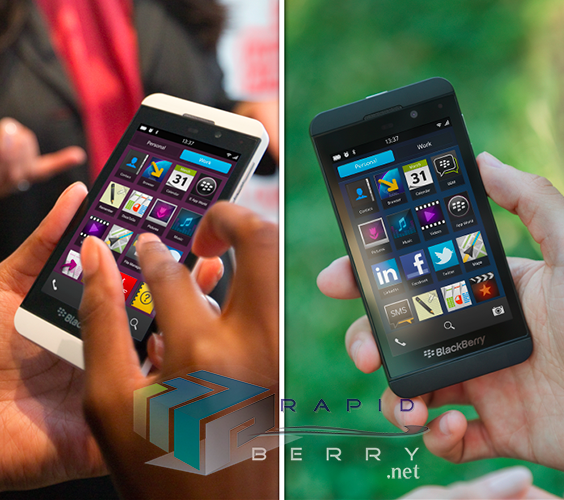 The first is the March 27th launch of the “Blackberry Lisbon,” better known as an upcoming Blackberry 10 device. On the heels of T-Mobile confirming their intent to carry Blackberry’s upcoming new OS comes this roadmap and a determination of what device T-Mobile intends to carry. The Blackberry Lisbon is better known to the world as the Blackberry Z10, the upcoming all touchscreen Blackberry device expected to be announced on January 30th. Rumored specs for the specs include a 1.5GHz dual-core processor, 4.2″ display (1280 x768), quad-band LTE, 2GB of RAM, 16GB or 32GB internal storage, 8 megapixel rear camera, 2 megapixel front camera, 1800mAh battery, NFC, Bluetooth 4.0, and microSD expandable storage. Its safe to assume that any T-Mobile specific device would also include HSPA+ connectivity as well. Moving on to a few other bullet points here is the February 27th “launch” of the LG Nexus 7 tablet? Will T-Mobile begin carrying these in stores? It’s hard to tell exactly what could be “new” from a Nexus 7 launch, so we’ll assume that it’s just a retail or online launch directly from T-Mobile. Most importantly, is this a typo? ASUS makes the Nexus 7. The Samsung “Codina” is a new device and shows up as the Galaxy Ace 2 on a Google search. We’ve seen companies reuse nicknames before — so that remains a possibility. My initial thought, prior to a Google search was a launch date for the upcoming LTE variant of the Galaxy S III. I WOULD NOT start speculating this is the Galaxy S IV, it’s not. Samsung Lebanon already stated the S IV wouldn’t be announced until April, so I have zero belief this is a new flagship device. Last, but certainly not least is the March 17th launch of the “New Rate Plan and Data Offers (100% Value).” That seems pretty self explanatory as the day T-Mobile intends to retire Classic Plan offers for new customers, end subsidies as we know them and begin their Value Plan only world. As usual, all dates and releases are subject to change and should be taken with a grain of salt. I like how the device looks, looks very close to the iPhone 5. Which may actually be a good thing. Man that Blackberry Lisbon sounds amazing and if its still compatible with android apps like the playbook was then its sure to be a hit. That’s certainly what I’m hoping for! What you’ve just described would be a miracle on a Biblical scale. Windows Phone 8 is such a dud they only hold around 1 or 2% of the market lol thats for all windows smartphone devices. This blackberry looks like a good start to getting on track again for blackberry. They only need to make sure they get some app dev’s behind it and its a surefire win. Only thing windows phone has is xbox and office… Windows need to just throw the towel in on the mobile division. You are right that WP8 is a “dud” with only a tiny sliver of the market. You know why? Because NOBODY wants to buy into an also-ran platform that lags in features and lacks critical apps. BB10 is starting with 0% of the market and will probably stay there for all the same reasons. There was a time when it was thought that Android would be able to compete with Apple. Yup. Android would have failed, too, except for one thing: greedy Apple just couldn’t help themselves and made that stupid exclusivity agreement with AT&T. That created a gigantic hole in the market that Verizon and others were happy to fill with Android. I remember how unhappy Verizon customers were back in those days… they would have bought a wood block with icons painted on it just so they could have something that looked like an iPhone! Those days are long gone. Blackberry and Windows Phone are probably doomed. Without Android, the smartphone market would be half what is today, if that. More likely, the iPhone would have eventually died out as nothing more than a fad. 1) the current nexus 7 tablet is not manufactured by lg. Typo on the road map, or new tablet? :O also, you put November instead of February as the launch date for it the article. 2) just curious, why I’d there a big section blurred out? Blurred out stuff is important by definition. It’s unrelated stuff, training schedule, system updates etc. That’s for the BB info David. I’m actually pretty interested in that other stuff, if there’s nothing that will de-anonymize your source, could I take a peek? I told you I’ll be getting one!!!!! Last I checked, LG made the Nexus 4 and ASUS made the Nexus 7. Didnt that article come out today stating LG might be haulting nexus 4 production for another nexus device? Might not be a typo…..
Those two images of the phone look nice. It’s also not a huge screen and would fit nice my hand. I can see myself considering it. I hope they allow the customization of the way the OS looks and feels like Android does. It adds a new life to phones when you change visual themes and the way screens move. Wow, i thought it was going to be an immediate after announcement. MWC is right it before, wonder if that will hurt them if bigger names get brought out from Android or Windows Phone. Will classic plans continue for those grandfathered in? I have 5 lines on a family plan, and while it makes more sense for other people to switch to the value plan, It would actually cost more for us to switch to a value plan. Our plan right now is for $100: 700 shared minutes, MyFaves, Unlimited Texting for 5 lines. Added the $20/mo Data option on one line. How much cheaper would the plan get if we switched to a value plan, because I can’t see it getting much better than this. I believe it would be 5 lines w/ 1000 shared minutes = $65/mo. 5 lines w/ 1000 share mins + unlim text = $75/mo. Add $10 for the 2GB Unlimited plus or $20 for Unlimited Data for the 1 data line. You lose MyFavs but gain 300 shared mins. Total monthly bill would be $95 compared to the $120 that you pay now if you go with the Unlimited data. Will save you $300/yr. $420/yr savings if you go with the 2GB data plan. the Value Plan offers good savings, but there is a chance myFavs is the reason the OP was able to run with 5 lines on 700 shared minutes. With the Value Plan, a flat 1000 minutes might not be enough, I’m only guessing from my experience as I’m on the same boat as the OP – the extra lines and data costs are cheaper with the Value Plan, but the fact that it offers only 1000 minutes of combined talk is a problem. I am able to survive with my 600 shared minutes as I have myFavs. Moving the lines to UL Talk takes the new Value Plan cost way over my current rate. If only they had like a Value Plan that had 1000 min added per line or 1000 texts and UL talk. This however might not be possible as messaging is extremely cheap to provide (a text might cost a fraction of a fraction of a cent) while each minute of domestic voice might run into several cents depending on the termination rate (destination). Yup. Put Google Voice lines in the family Faves and you have both unlimited domestic calling and ultra-cheap overseas calling to many countries. I don’t ever expect to see a plan to beat it. I just e wish GV had been around when I was picking which MyFave plan to go with. just like every other time, you will be grandfathered in. But given the changes to non-subsidized plans, unlike before, this time if you want a new phone you’ll have to do the math and see if it would make sense to go on a Value plan or stay with what you have and just pay for a phone. I think they’ll change the Value plans so they won’t what they’re now. If I had to guess they’ll be cheaper than now or the minutes and features will be upped. Either way we will have to wait and see, right now everything is speculation. So 1.30.13 for the beautiful new blackberry to make its comeback? Wow, they are not messing around. New International plans too? With my frequent trips over seas this was getting to be a deal breaker. Other carriers have started to offer better international roaming packages. Anyone have any more detail on this? I also will be very interested in this. Of all people, AT&T surprisingly offers data roaming packages. They are still extortionate, of course, but a zillion times better than T-Mobile’s $15/MB !!!! I normally use local SIMs when traveling, but it’d be really nice not to have to….. Since I moved from BB to SGS2, I have started buying a local SIM during my international travels and that works great in combination with Wi-Fi calling on my T-mobile phone. No doubt, nothing to beat BB’s unlimited international e-mail. 2 months after the official launch? Why the delay? Where is the one with the keyboard? Thanks David, for the article. Thank you, thank you, thank you. You’re far too kind. That’s what I needed (said Mario). Just a date. Two months to go and I’ll have my Z10 or Lisbon or whatever name they call it. I might finally have to leave TMO if they aren’t releasing the new BB until 60 days after it is announced. AT&T will most likely win out. What have you heard for release dates from other carriers? Earliest I’ve seen is late February. You’d really leave over a 3-or-4 week wait? Good thing ( or should I say little known fact) about the Value Plan. If you go with this option, you are not required to add data. You are paying full retail for the device hence not data requirement. (But why buy a smartphone and not get data) T-Mobile sales reps wont tell you this because it messes with their commissions. Honest reps will tell you that you need to add data now to get the rebate. Once you receive your rebate, you’re free to remove your data. Truth is, most people leave the data and it doesn’t mess with commission at all. this is true but why would you spend all that money on an expensive smart phone and not use it to its full potential? a GSIII cost $600. the basic data plan is $10/month on value. over two years, that $240 of supposed savings. You pretty much over spent by $360 just to get a smart phone without data. If you get the phone on one of T-Mo’s awesome promotions when they have the really big rebates like when they had the $200 rebates for the GSIII, then you pretty much have all your data paid for for 2 years. Use wifi for data. No need for cellular data. I bet anything this phone will completely fail to function without a data plan, but that’s NOT T-Mobile’s fault. Blackberries have always been a pain to use with a WIFI-only “po boy” plan. Sony phones are garbage. thats why only At&t has them as an OEM. 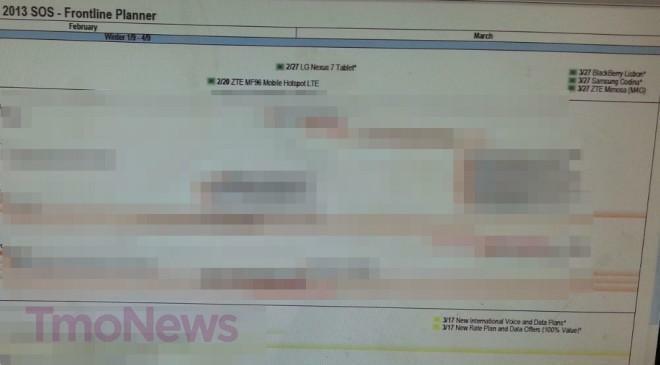 ZTE “(M4G)” = Grand S? There are several articles about this on Tmonews,,they’re doing away with subsidies. Personally I don’t use Blackberry and NEVER WILL. But Yes I like what I see here it’s a wonderful combination of a little bit of everybody in one device. It looks pretty fluid and I like how it unlocks and just the swiping back in forth. The camera looks pretty good as well and it appears some new applications in the app world exist for this new product. I applaud Blackberry looks like they are on their way back which would be nice….This will sell very well on T-mobile hopefully it will be priced correctly…. Why does everything have to get leaked… How can any company stay competitive and GROW when their employees give away their secrets? LTE, so ready for it! i hope they still have time to come back… They waited so long i dont know if its too late. it will be a lot of advertising and selling on any company to make great strides on there part. The only definite buyers will be the blackerry die hard fans and most of those left in the first place. I just know it will still be hard to sell it along side the galaxy series, iphones and last but not least windows. The only thing that might still be in competition would be windows, and i dont know for how long since last year they jumped over 200 % in the market, but you get what you pay for. They spent so much money on advertisement they should have seen results or i would of fired some body.